"And let the beauty of the Lord our God be upon us: and establish thou the work of our hands upon us." Double M Performance Horses is a business spurred by passion and fueled by faith, hard work and dedication. It was started by Mitch and Misti Quiring in 2006. Originally, they bred, raised, trained, showed and sold all-around American paint horses in southwestern Minnesota. Additionally, they offered riding lessons and a farrier service, as well as, donated their time to provide clinics and hands-on experience for students in the local elementary and high school agriculture programs, 4-H and FFA. Neither Mitch nor Misti came from a “equine” family but they were both very driven to learn horsemanship skills and through the years they trained under a variety of professionals in the industry, in several disciplines. In 2010, backed with a solid foundation, they relocated to Oklahoma and pivoted their business. They invested in American Quarter Horses that were bred with some of the top barrel racing and roping bloodlines the industry has to offer. To date, they have raised, trained and finished several home-bred colts and have begun successfully showing and competing on them. Check out the News page to see what they’ve been up to lately! "The dream is free, the hustle's sold separately!" Check out the future generation of AQHA barrel and rope horses produced here at Double M Performance Horses! Check back often to see what we have available! 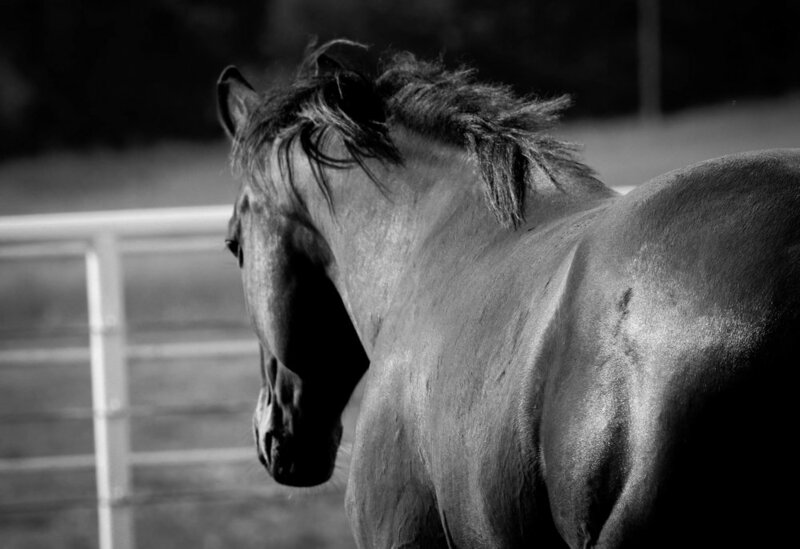 We are currently working to selectively build our broodmare herd to incorporate more of the greatest bloodlines! We will update the site as purchases are made so check back often! Pictured above is the barn where Misti got her start. This barn was located on her family's (Roger and Lylis Nelson) farm outside of Canby, MN. Her grandfather, grandmother, father, aunt and uncle raised hogs and beef cattle. After they sold out of livestock and pivoted to solely farming crops, it sat empty for many years. Until Misti's passion for horses brought it back to life, it was patched with passion and provided shelter for her horses and hay until it was dismantled in 2012. This barn houses more childhood memories for Misti than any where else. To this day when asked if she was "born in a barn" she replies, "no, but I got there as soon as I could" and there is nowhere else she'd rather be. "A barn is a sanctuary in an unsettled world, a sheltered place where life's true priorities are clear. When you take a step back it's not just about horses- it's about love, life and learning." 2017 AQHA World Show Qualifier in Amateur Tie-Down Roping! Standing to the public with a limited book, Spring of 2018. For more information check out his page! Providing the central Oklahoma and north-central Oklahoma areas with hot and cold shoeing, trimming and corrective work for equine athletes of all sizes! Check out the latest updates and adventure recaps of happenings here at Double M! Working to turn your "dreams" into "designs"! Specializing in the Equine Industry!